The "LOVE LOCK" is a padlock which sweethearts lock to a bridge, fence, gate, or similar public fixture to symbolize their love. 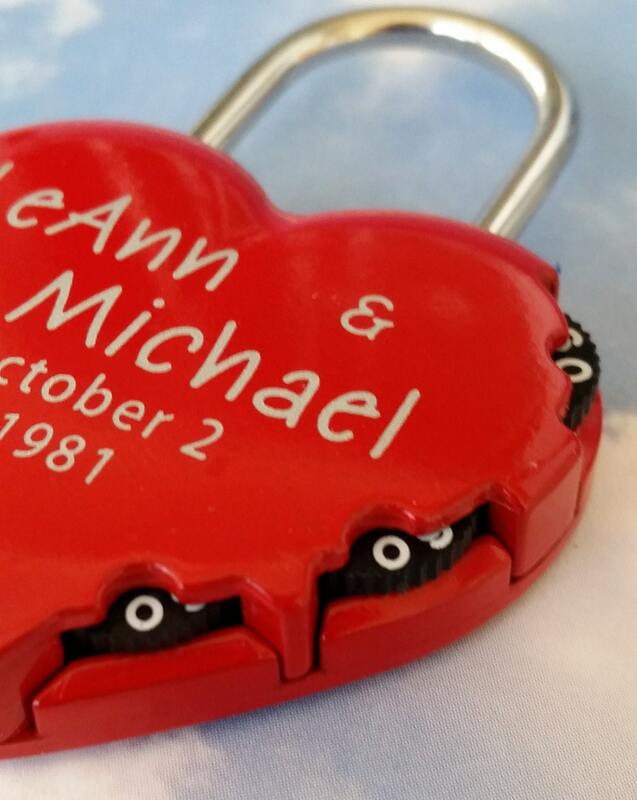 Typically the sweethearts' names or initials are inscribed on the padlock, and its key is thrown away to symbolize unbreakable love. 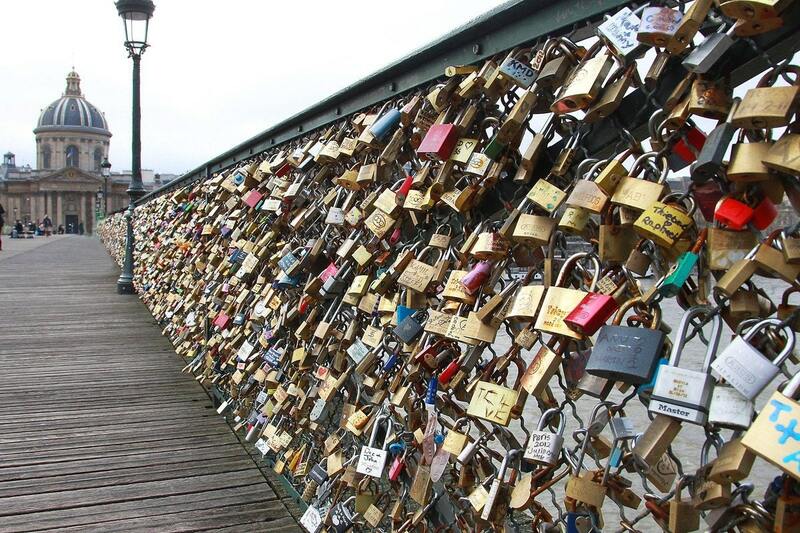 Since the 2000s, love locks have proliferated at an increasing number of locations worldwide. You set you own lock combination - Instructions included - Easy!! 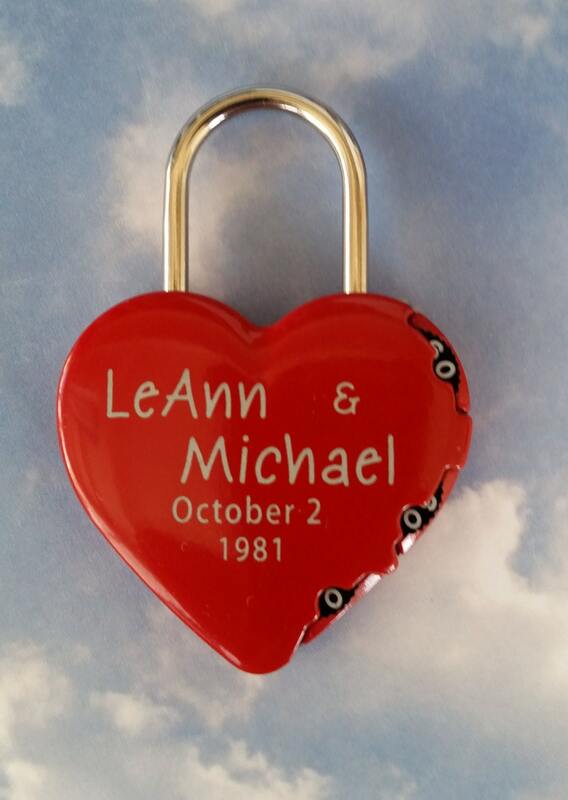 Just give us your engraving info and we'll take care of the rest. 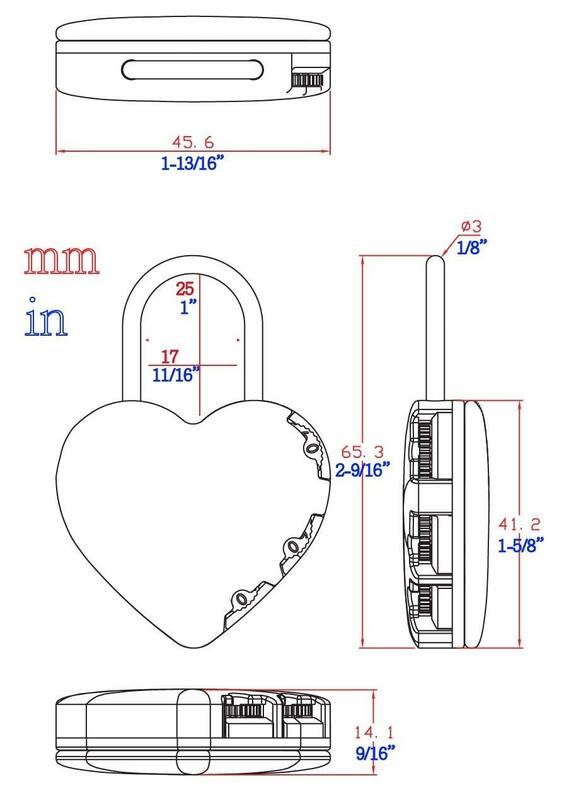 Lock is Approximately 1-3/4" x 1-3/4"x 1/2"
Place your order as you normally would leaving engraving information under "notes", or just send a conversation through Etsy. 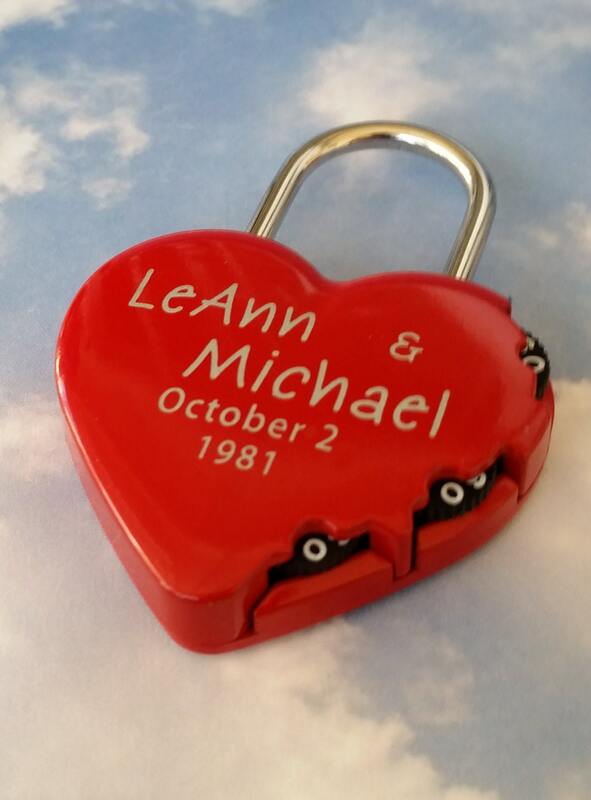 Once I receive your order, I will send you a proof of the engraving layout for your approval before I engrave. Once I receive your approval, I will engrave and ship within 24 hours. I will ship by USPS Priority Mail for 2-3 day delivery.